Often times in order to understand how we got to a certain place, we must first look at the constellation of factors that led us there. The intent of this blog is to illuminate the sequence of events that led to the emergence of the opioid crisis as we know it today. 1861-1865 – During the Civil War, morphine was often utilized as a battlefield anesthetic. Many soldiers developed morphine dependency as a result. 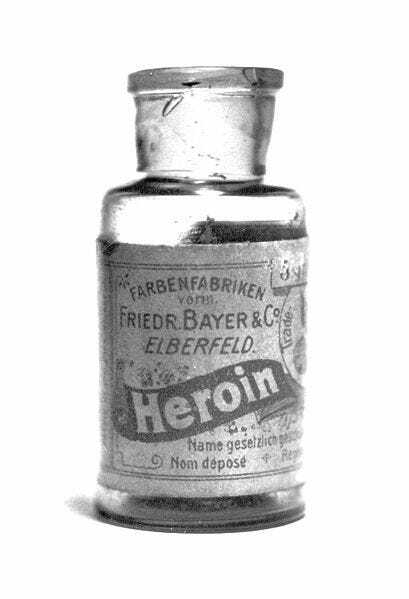 1898 – Heroin is first produced for commercial distribution by the Bayer Company (the same company that produces Aspirin). At the time, heroin is perceived as less habit forming then morphine, and as such is given to those individuals who were addicted to morphine, thus exacerbating their addiction. 1924 – The Anti-Heroin Act bans the production and sale of heroin in the United States. 1970 – The Controlled Substances Act is written into law. It creates groupings of drugs based on their potential for abuse. Heroin is classified as a schedule I drug while other opiates including morphine, fentanyl, oxycodone and methadone are schedule II. 1980 – A letter entitled “Addiction Rare in Patients treated with Narcotics” is published in the New England Journal of Medicine. This was not a study, but rather an exploratory article the looked at incidences of addiction in a very specific set of hospitalized patients. This article would become widely cited as proof that narcotics were a safe treatment for chronic pain. 1995 – OxyContin, a longer acting iteration of oxycodone, is introduces and is aggressively marketed as a safe pain pill by Purdue Pharma. 2007 – The federal government files criminal charges against Purdue Pharam for advertising OcyContin as a safer and less addictive alternative than other opioids. Purdue Pharam and a handful of executives plead guilty, and agree to pay 634.5 million in criminal and civil fines. 2010 – FDA approves an new formulation of OxyContin that is said to contain abuse deterring qualities. It is still abused. 2015 – DEA announces that it has arrested 280 people, including 22 doctors and pharmacists, after a comprehensive 15 mon sting operation that focused on health care providers who dispensed large amounts of opioids. 2016 – The CDC publishes specific guidelines for prescribing opioids for patients with chronic pain. Recommendations include prescribing over the counter pain relievers like acetaminophen. Individuals who had previously managed their pain through an opioid prescription were now forced to find alternative methods of treatment, as many doctors would no longer prescribe them. 2017 – President Trump declares a national public health emergency to combat the opioid crisis. President Trump has yet to outline how he specifically plans to combat this crisis. And so here we are, in the throes of a epidemic with seemingly no end in sight. If you, or anyone that you know is struggling with addiction, please reach out to the professionals at Column Health. Our team of qualified professionals can help development an individualized treatment protocol that can help you or your loved ones achieve remission from substance use.